Know anyone that likes their work? This article is a good reminder about paying attention to employee morale, and the aspects of work life that are contributing to wide spread dissatisfaction. Why should you care as an employer? Cost savings, pure and simple. The level of effective contribution to a company from a motivated employee, vs. a demotivated one, can be impressive – ultimately driving down salary/wage expense vs. results. The people I know that are satisfied and motivated in their work are at startups with a clear mission. How about you? 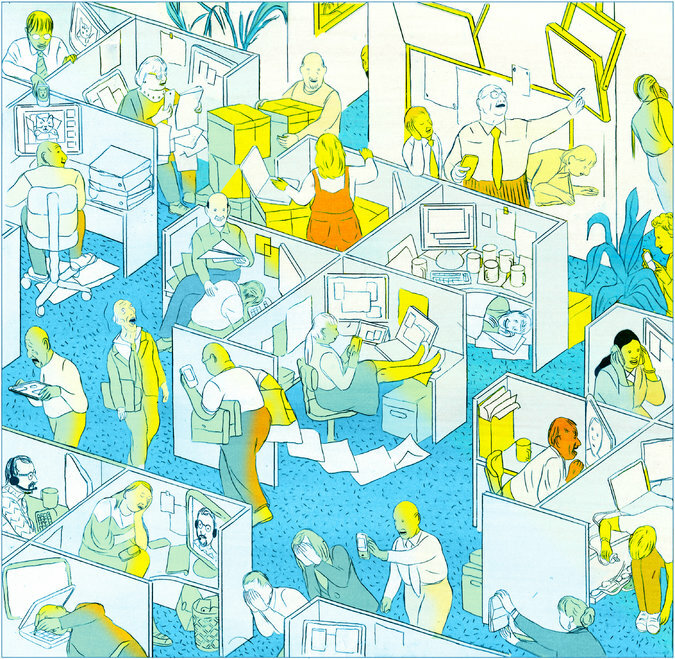 Why You Hate Work – NYTimes.com. This entry was posted in Best Practices, Entreprenuership. Bookmark the permalink.